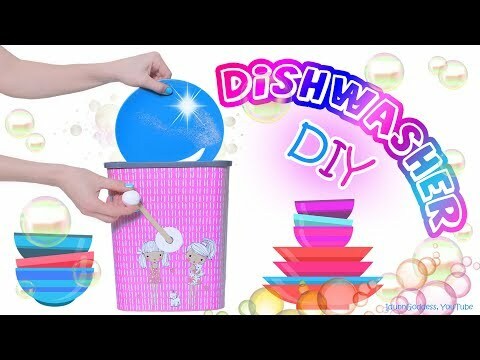 Super easy and cheap way to make your own dishwasher! All you’ll need is a plastic trash can, magnets and lids from Pringles. For my #DIY dishwasher I used a plastic trash can which was 32×17 cm and 28 cm high; 4 Pringles lids, magnets (diameter 1 cm, 12 pieces), 2 popsicle sticks, 2 cabinet knobs, 4 rubber bands and a super glue.